I've been suffering from hayfever these last two weeks, but after my last post, I felt energised to get my camera out in the garden and take some outfit pictures. It was perfect timing because I was recently contacted by Dolly and Dotty, who are a vintahe retro company, and they wanted to see if I wanted to review a couple of their dresses. 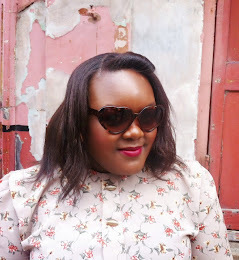 Being a lover of all things vintage, I jumped at the chance! The first of the two dresses you'll see on the blog, from Dolly and Dotty, is the Rosie Flirty 50's Pinup Girl Dress. 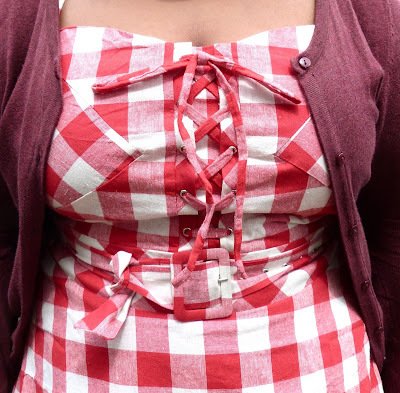 I was instantly attracted to the neckline and lace-up body detail, as it's kitch, without looking like a costume, and the red and white check print is perfect for when the sun's out. The dress is halter and comes with a belt that actually fits - such a rare thing when belts come as an accessory, and I think it really completes the look well. 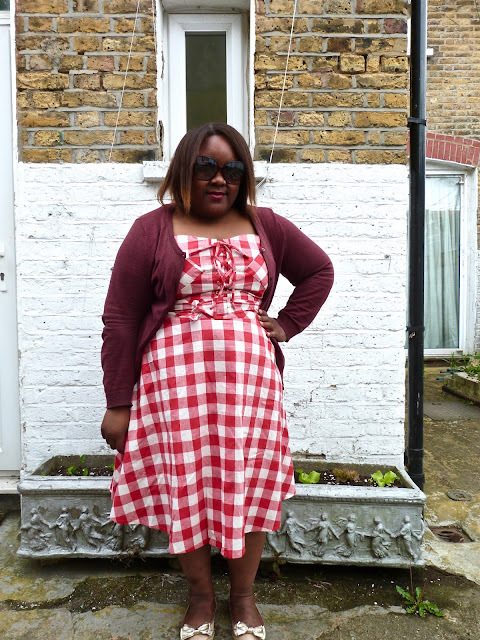 I sized up as I'd never had a dress from Dolly and Dotty before, but I needn't bothered as the dress was loose around my neck and waist; so go with your normal size if you feel like spending a penny or two on their great selection of dresses. 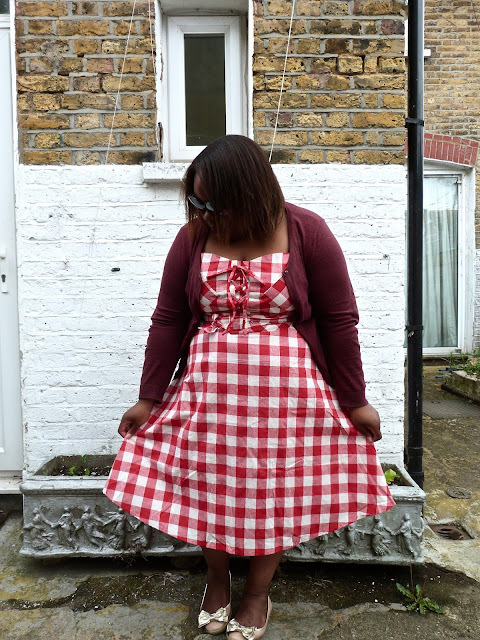 It has a full skirt so you can throw a petticoat underneath for a full 50's look, and the dress is made from stretch cotton so it's lovely, light and easy to wear. There's a zip fastening at the side so you don't have to throw your back out trying to get into it without having someone to help zip you up (the struggle is real!). It's such a fun dress and I have visions of sitting on a blanket in the park, with a good book and a cheeky cider, in this beaut. Symbol * denotes a gifted item. 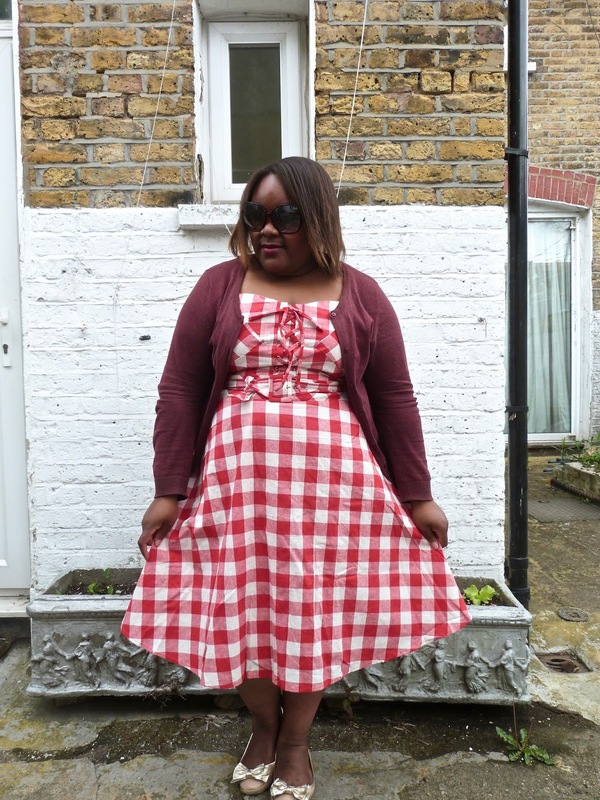 I really love Dolly and Dotty dresses and this one in particular looks amazing on you! 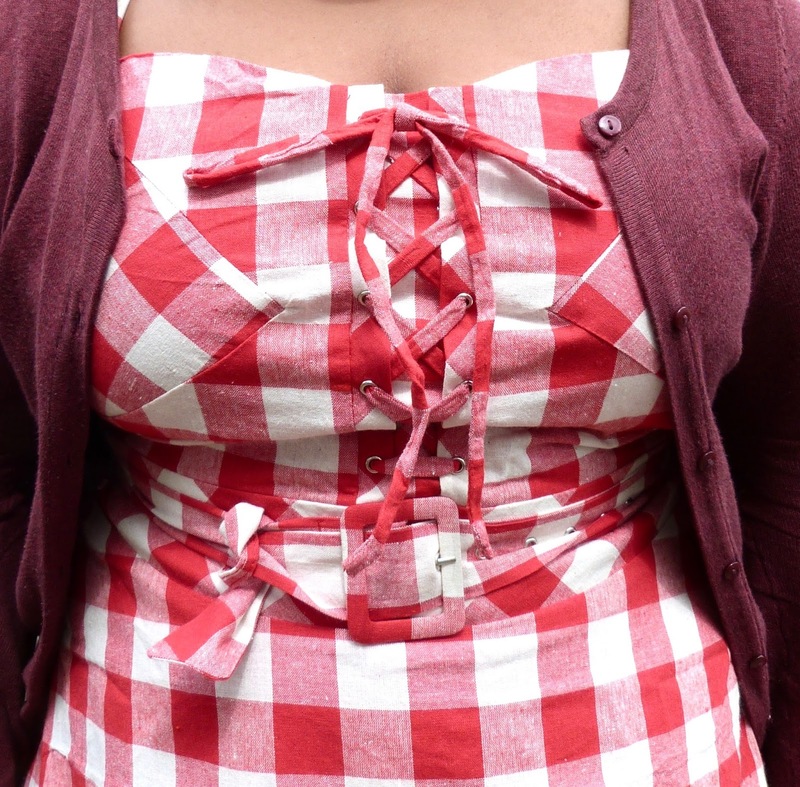 Really love how you have styled it and how well it fits and that lace up detail is lush!